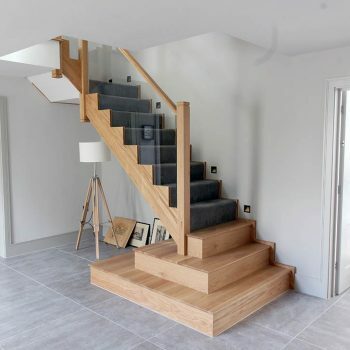 After living in their home for 15 years the Hornsby family planned a huge renovation of their property, that consisted of moving their staircase to the other side of the entrance hall. 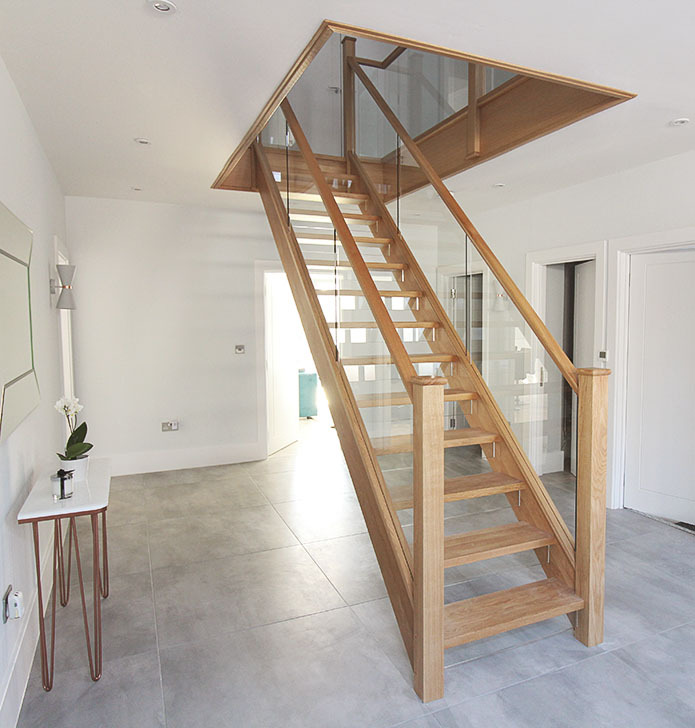 This space allowed us to make the staircase wider, shallower, compliant with building control and a true centerpiece to the beautiful home. 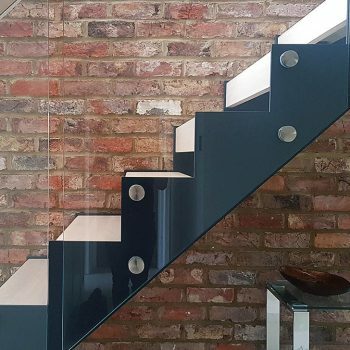 The zig zag steel works allows the staircase to stay lightweight, unobtrusive and as minimalistic as possible. 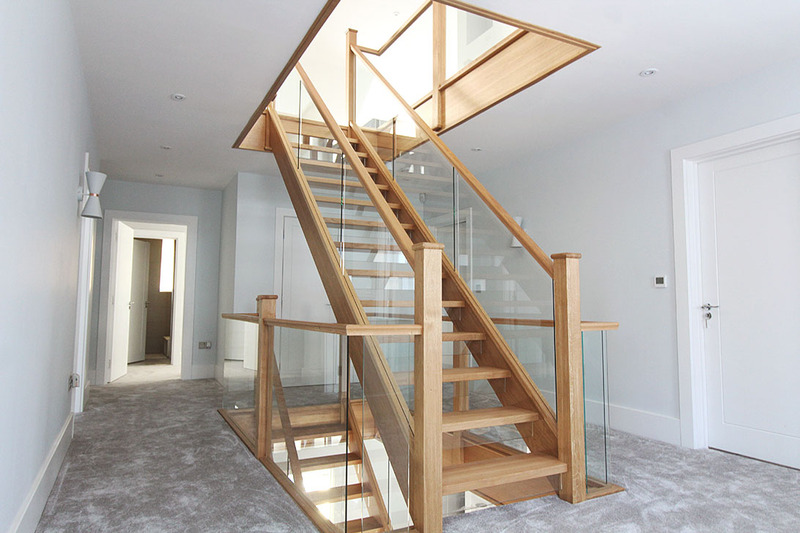 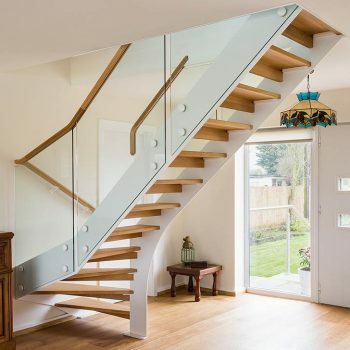 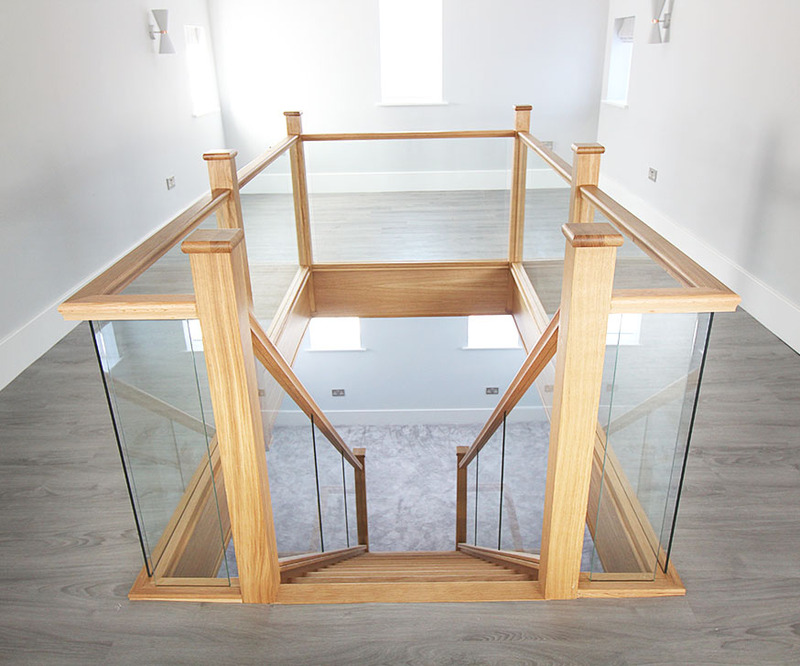 Mr Hornsby wanted the most sleek design possible and had never seen an open zag zag staircase before, it was very clear this design was perfect for the family home. 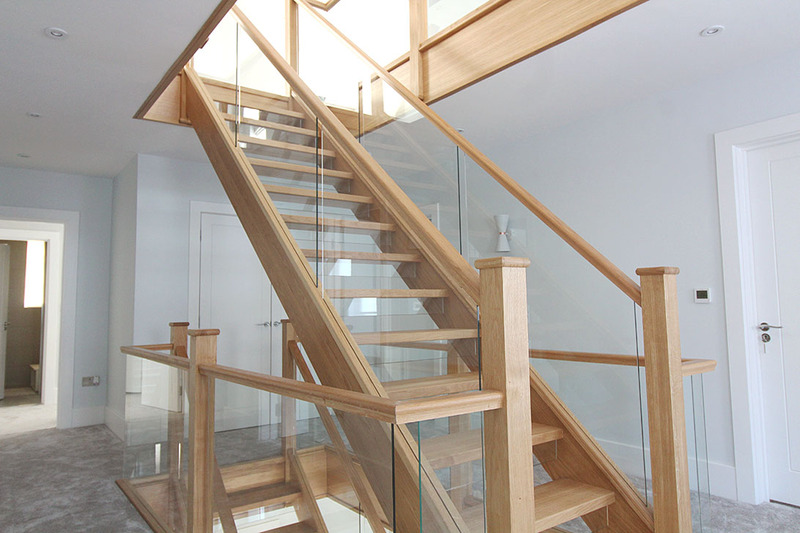 The fine white powder coat and natural Oak are so neutral that they compliment any interior and will not date over the years. 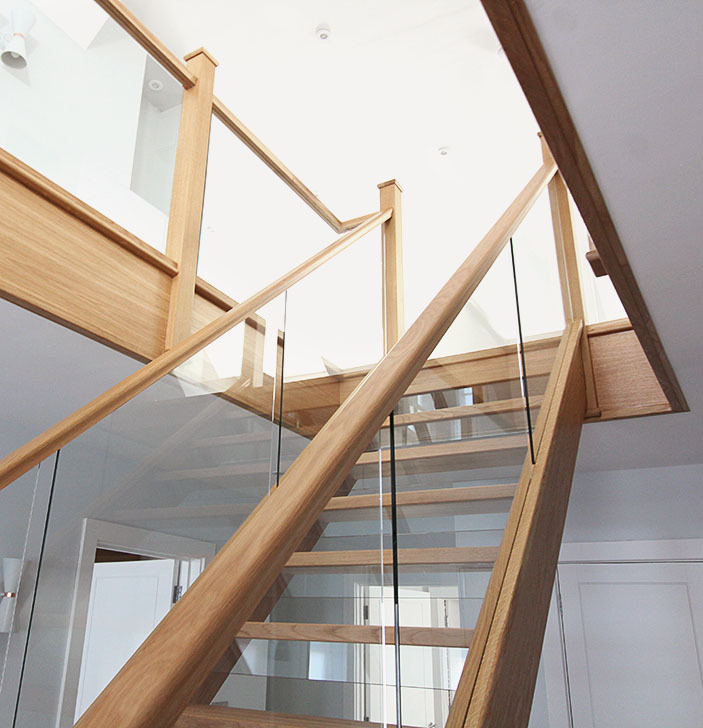 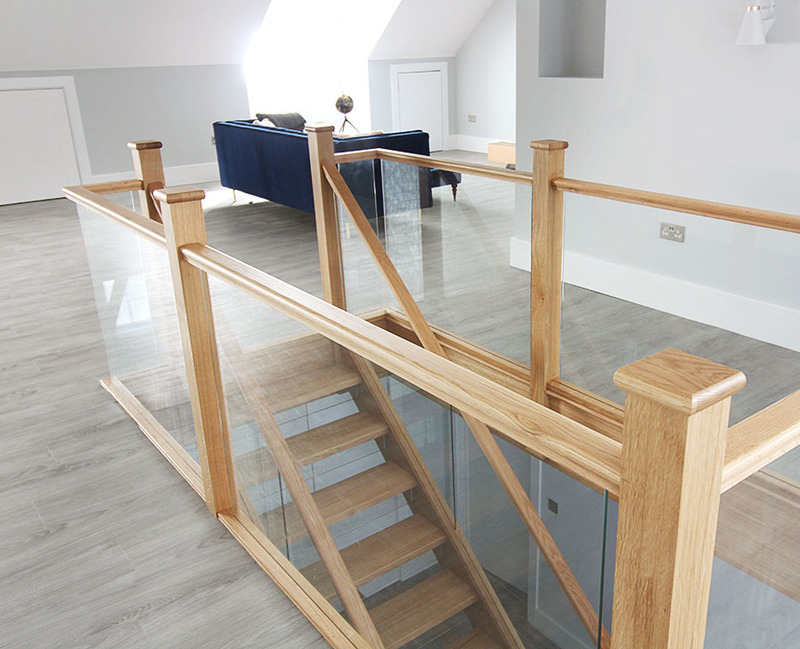 This staircase finishes with large 40mm oak treads and steel riser bars in order to pass building regulations. 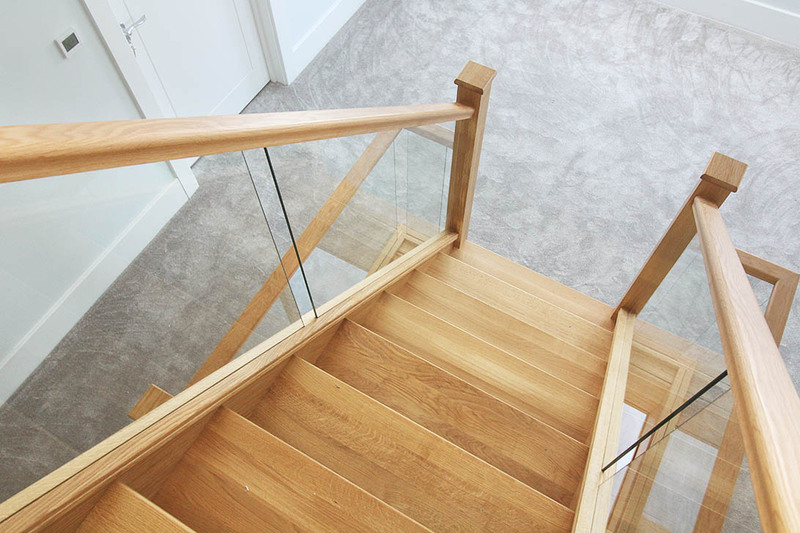 Using this style of tread and riser allows the end grain of the staircase to be displayed, flaunting the solid oak construction for all to see and appreciate.